The CancerCare for Kids Winter Warmth program is now in its third year! 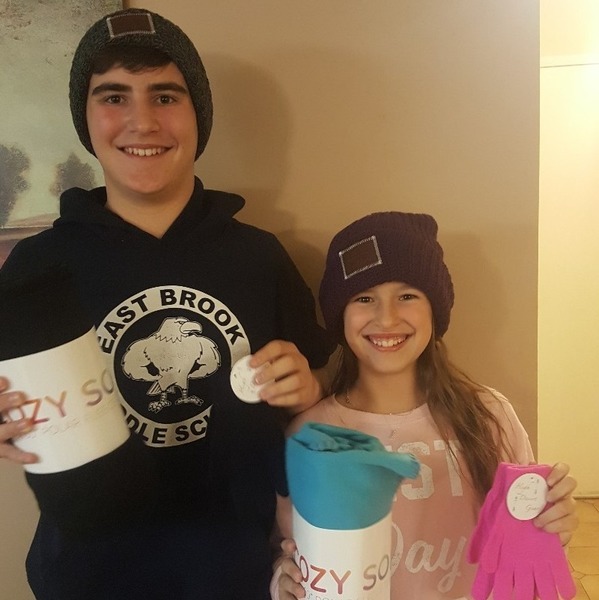 In December 2018, CancerCare for Kids sent out 155 winter warmth packages to children and teens affected by cancer. This program currently assists families living in New York, New Jersey, and Connecticut. This year, the package contained: socks, gloves, a fleece blanket, scarves, pocket tissues, hand warmers and hats generously donated by Love Your Melon. CancerCare understands that families coping with cancer face many challenges including financial and emotional concerns. CancerCare constantly seeks new ways to ease the financial and emotional stress that families coping with the cancer experience. Many thanks to Love Your Melon for helping to make this program a success! CancerCare for Kids offers year-round, free support services for children who have been diagnosed with cancer, have a loved one with cancer or have experienced the loss of a loved one to cancer. Our psychosocial services are also available for parents and caregivers to help educate, support and empower them as they care for their own emotional and practical needs and the needs of their children. All services are provided by CancerCare’s masters-level oncology social workers. Sign up for our e-newsletter by emailing cckids@cancercare.org and learn more about CancerCare’s services for children and teens affected by cancer.